Prince and Princess Andrew of Greece announced the engagement today of their eldest daughter, Princess Margarita to Hereditary Prince Gottfried of Hohenlohe-Langenburg. 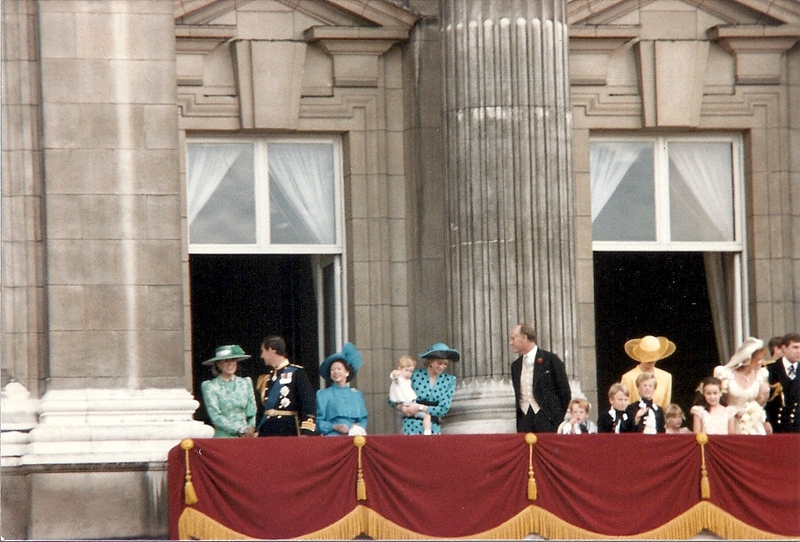 Gottfried is the eldest son of Ernst, the 7th Prince of Hohenlohe-Langenburg, and his wife, Princess Alexandra of Saxe-Coburg and Gotha, Princess of Edinburgh, who is a granddaughter of Queen Victoria. 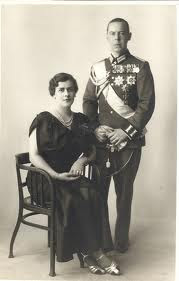 Gottfried is a nephew of the Dowager Queen Marie of Roumania, and was with her when she visited the United States in 1926. Princess Andrew of Greece is the former Princess Alice of Battenberg, a great-granddaughter of Queen Victoria, and the elder sister of Crown Princess Louise of Sweden, the Marquess of Milford Haven and Lord Louis Mountbatten. I certainly think there was a concerted to marry off the four girls due to the lack of funds. Do you think there were any better prospects for them? They all married princes from non-reigning Houses. Were there any princes from reigning Houses that were being considered? Think about how many Greek Princesses were available to get married in the early 30s. Moreover, the grooms were rich, and the Greek princesses had no money. 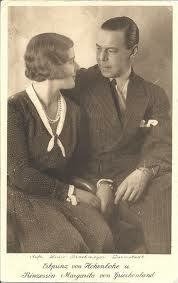 Cousin Irene was briefly engaged to Christian of Schaumburg-Lippe. Zog to marry Bulgarian princess? Athens goes wild over "Dollar Princess"
Grand Duke Michael of Russia - next Emperor?